This stunning Georgian Grade II listed building is set in its own gated and landscaped grounds within Loughborough town centre. Oozing character the contemporary and elegant office suites benefit from original features and provide tenants with access to a bookable meeting room with presentation facilities. The space offers easy access to East Midlands Airport, and Loughborough Railway Station is just over 10-minutes walk away. 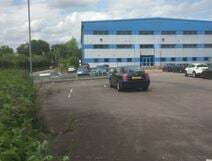 Within walking distance of the Wild Life Trust’s meadow alongside the River Soar these modern offices are situated in a lush green area overlooking the Summerpool Brook. A short drive to J23 and 24 of the M1 and a 10-minute walk from Loughborough train station. In a prime town centre location, this centre offers a bright and modern work space for co-working. There is high speed WiFi, printing facilities and CCTV monitoring. The office boasts a kitchen, a fresh bean to cup coffee machine and an on-site manager to give assistance and advice to tenants whenever needed. Loughborough's train station is an eight-minute walk away, offering fantastic links to the rest of the country.